On a warm Friday afternoon in early October, former Assistant Police Commissioner Paul Thompson came to our studio at Popopstudios to be photographed for the Bahamian Project. Thompson, a 30-year Royal Bahamas Police Force veteran, is a pleasant man with an easygoing nature, but even within minutes of meeting him one can sense the seriousness and wisdom behind his eyes. As we do with all our photo subjects, we invited Mr. Thompson to have a seat and relax while we explained what we had planned. He expressed sincere gratitude to be included in the Bahamian Project and of course, we were grateful that he agreed to sit for a portrait. 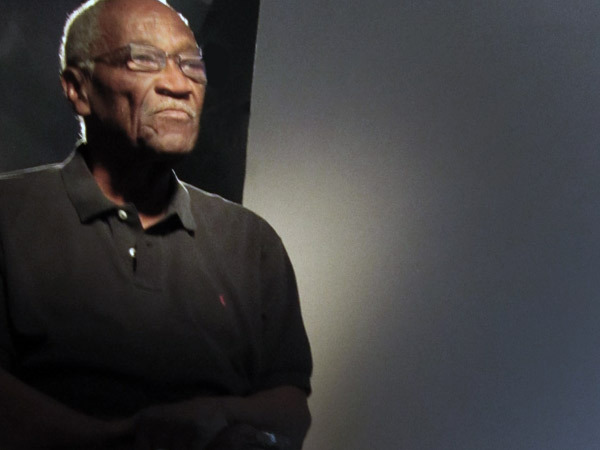 Before and after the portrait session, Mr. Thompson recounted for us some of his experiences, many of which are part of his forthcoming book about his years on the force. We discussed the negative effect that crime and corruption continue to have on our still-developing nation. He spoke definitively, precisely, passionately, like a man who knows what he’s talking about because he lived through it. He beamed with obvious delight when our conversation shifted to his recently published opinion-editorial — an essay titled “We Shoot to Live, Not to Kill” — he was clearly pleased that we had read it and he was quick to engage us in further discussion on the subject. Though he will forever be remembered for his crime-fighting contributions to this country, our photograph focused less on Paul Thompson, the lawman and attempted to capture the character of Paul Thompson, the man. Caption: In progress photo by Lisa Wells. Paul Thompson sits patiently while we nuance the lights for his portrait session.